Fortnite - How long till we see larger than 20% spikes! Forums › Gaming › Fortnite - How long till we see larger than 20% spikes! Offtopic since i admit, i'm simply proding at the topic and would be interested in seeing where this ends up going..
@billbennett did a great write up on this last friday. Imagine if at 9pm one Thursday evening there was a sudden 20 percent surge in demand on the electricity network. At the very least there would be a few households reaching for candles and electric torches. Yet that’s exactly what happened to the national internet network last week when a software update to Fortnite, the popular computer fighting game, landed. The network company Chorus saw a 20 percent spike in traffic yet nothing untoward happened. There were no reported outages. If anyone noticed their fixed-line connection slowing, it wasn’t serious enough to be public news. Noticed fortnite changed their launcher at some stage, to default to boot with windows (i never set this...) and so come patch time tonight, instantly pegged. 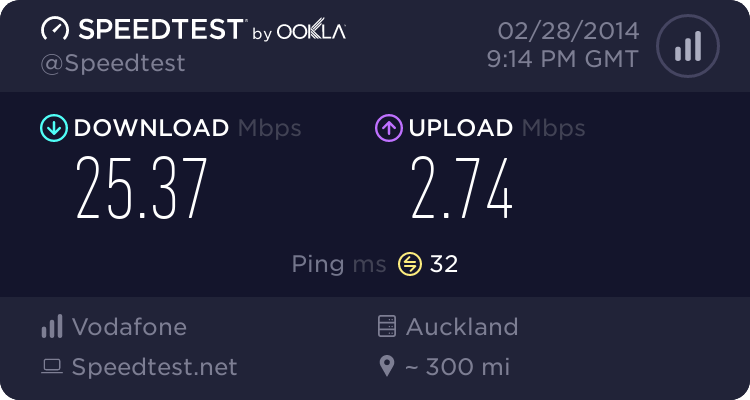 While 20% goes somewhat unnoticed, I'm waiting for some of the smaller providers who simply don't have the legroom to quite spread out to handle random 20+% spikes without noticing a hit. Just wait for Epic to slide the update time out to 6pm along with peak for netflix! Fortnite is the scourge of parents nationwide. This game is so addictive it is literally costing kids their education. Think fidget spinners times a thousand. Let me re phrase this for you. "Parents lack the ability and discipline in this modern day and age to set limits and control their children in general and around technology"
Don't blame a game for costing kids their education. Might as well blame spoons for making people fat. My hat is off to Epic games, They have created a game that is entertaining to play and draws people in. Nothing wrong with that. I am an old person and I don't do games. Can someone explain to me just what Fortnite is? OK, thanks. Not my kind of thing. I agree, parents do lack knowledge about technology but it doesn't change the issue. If only all children were the same, well behaved with good parents. But you overlook the realities of the real world, in which there are single parents, ADHD kids and behavioral issues, double working parents, technologically illiterate parents, parents who don't really care about education. There have been fads throughout my kids lives (scooters/fidget spinners/new world little grocer toys etc), but fortnite is certainly the one causing serious issues for some children. In our home we've settled on a system where my boys get 6 hours fortnite a week. But, kids are cunningly manipulative, a friend comes around after school who 'has not played fortnite before'. It is bad weather so they want to do some fortnite. Or, a new update comes out, and 'all their friends' are online and they are all talking. Or, parents are out and they 'say' they are doing homework. But, unless you are eyes-on , 24/7 , you can't be sure. Our friends mildly autistic son woke up at 1am and played fortnite until he went to school. They now suspect he may have done this on a number of occasions. They are good parents, but you are accusing them of being terrible parents because they have difficulty with their son. I spoke with a principal from a local intermediate, and he rolled his eyes about fortnite and said they have kids coming to school who've had little to no sleep.My daughters teacher recently sent out an email with a link to parents explaining fortnite and how to manage kids. @surfisup1000 I agree, it's not a simple issue. One thing I see a fair bit is people with no kids, who have all the answers. I can relate to this, because I was a BRILLIANT parent, until I had kids. It's not easy, but it's not something you appreciate (nor what your parents did and sacrificed for you) until you are older and usually after you have kids of your own. I shudder at some of the dumb stuff I used to say to my sister about her kids behaviour. All good in theory but so far from reality that I have apologised many times since. Both of my kids are "good kids", but they will still push the boundarys when it comes to screen time etc. We have a rule in our house that the 3 things need to be done before ANYTHING else, which is toilet, dressed and breakfast. Both kids are required to do 1 lesson on math seeds or reading eggs or similar before they do recreational stuff. But when they are sick, or we are, it's all about survival and those rules can end up being bent. You dont understand google either? You guys seriously think its only kids who play fortnite or any games for that matter?? Time you started watching gaming streams like Twitch.tv to see. Damn siight better than watching the crap on television these days or the hours of adverts. Rock and Roll / Communism / Dungeons & Dragons / Television / Home Taping / Marijuana / Insert other scapegoat / Fortnite is ruining society and destroying our children's lives.. Why won't somebody please think of the children. I didn't think it was playing usage that caused the spike but the download of the season 5 update? I've kinda stopped playing it, I felt it was a bit unfair when we banned my 9yo from playing (he and a cousin would play it, my son could only use my password protected PSN account, but my nephew was able to use it on his own - and so his usage got out of control, and he had the odd nightmare/affected his school work - so we banned it). Which is vaguely annoying, but I'm preferring PUBG on IOS, which while my son uses my ipad, he knows he's not allowed that, and to his credit doesn't. So yes a lot of it is about control, and about being able to curtail addictive behaviour, either in yourself or others. I'd never heard of it until I read this thread..! We have kids accounts on our windows devices and they don't get access at all until we use the parental controls to allow them an hour or two. Once that's up that's it for the day. They also don't get to play at all during the week, only on weekends, and only a couple of hours a day at most. They also can't get into the iPad without the passcode. All they want to do though is play Fortnite. It was Roblox before that, and before that Minecraft.